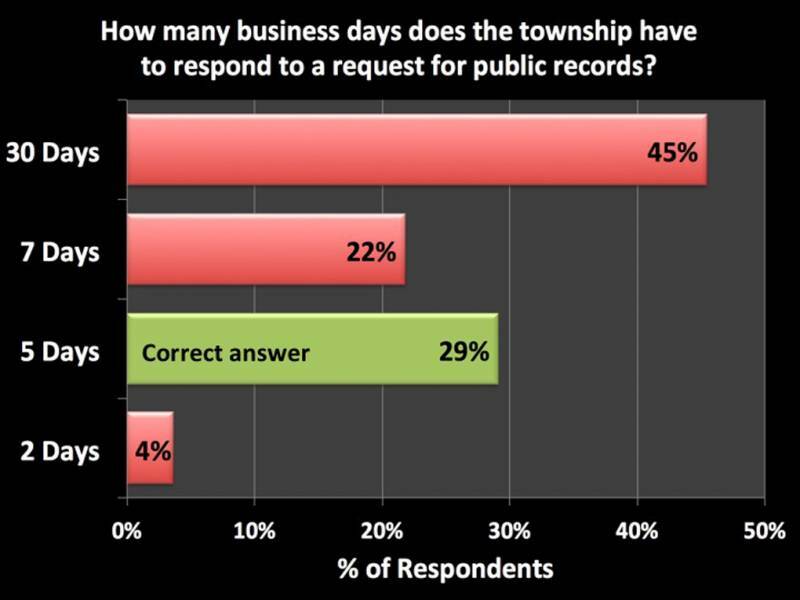 This short, 6-question quiz tested citizens' knowledge of the PA Right-to-Know Law and provided information about how to make requests for public records from Newtown Township. The quiz ran from March 1, 2018 through March 5, 2018. The average score was 55% with 55 respondents. Sixty percent scored 50% or lower and only 2 respondents scored 100%. 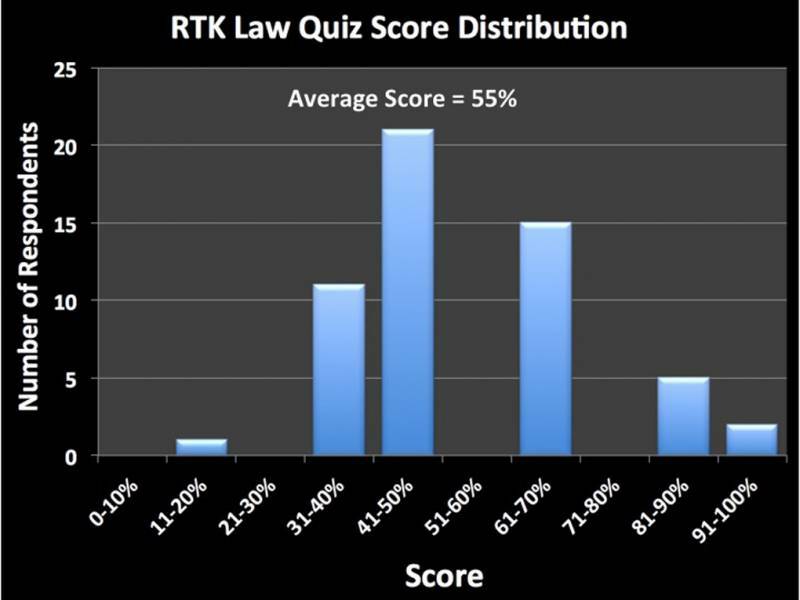 Below are results of the two most difficult questions – those that received the lowest correct answers. You can review the full analyze with all the correct answers here. Regarding records on personal computers and cell phones of township employees or Supervisors (Q5), only 25% of respondents go the answer right. The correct answer is Maybe, depending on whether the records document a transaction or activity of the township. According to Scott Coburn, General Counsel – PSATS, an example might be where you are using your personal cell phone to text back and forth with a supervisor on a Township issue such as the proper focus of a Committee those texts would be a public record documenting a transaction or activity of the Township and would be subject to a RTK request.